In effect this tape is very similar to masking tape and is available in white or brown (Kraft) colours. Printed paper tape is manufactured with eco friendly water soluble inks having even less impact on the environment. Our printed paper tape is 125 Micron overall thickness which breaks down to 90g paper and 35 micron solvent rubber adhesive. Every roll of printed tape we produce is checked for quality and consistency during printing, ensuring your finished tape is to the standard you’d expect to market and represent your company and/or brand. Please contact us for further information or guidance when purchasing this product one of our sales team will be happy to assist in your product choice. 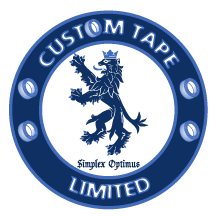 sales@customtape.co.uk or call us on 01772 434444. 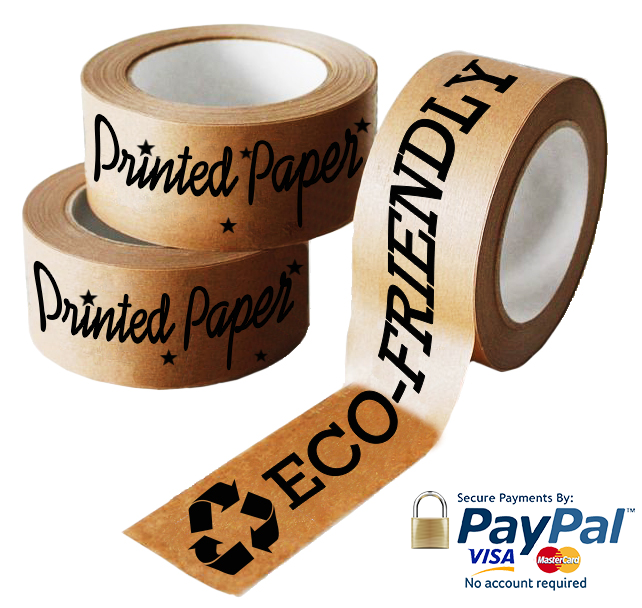 Go green while packing up your belongings with Custom Tape’s Eco-Friendly Custom Printed Paper Tape. Designed for easy application, this tape can be torn by hand without the need for additional dispensers, making it easier and more efficient to use. The strong, high tack adhesive also secures your items whether you’re shipping, moving or storing in your home or office. Printed paper tape is also environmentally friendly. It was produced using renewable resources and can be recycled when you’re finished.